The proposal by Nieto Sobejano Architects was based on almost total recovery of the primitive shapes of the convent, adding a new building that, as opposed to previous extensions, respects the look of the original building. 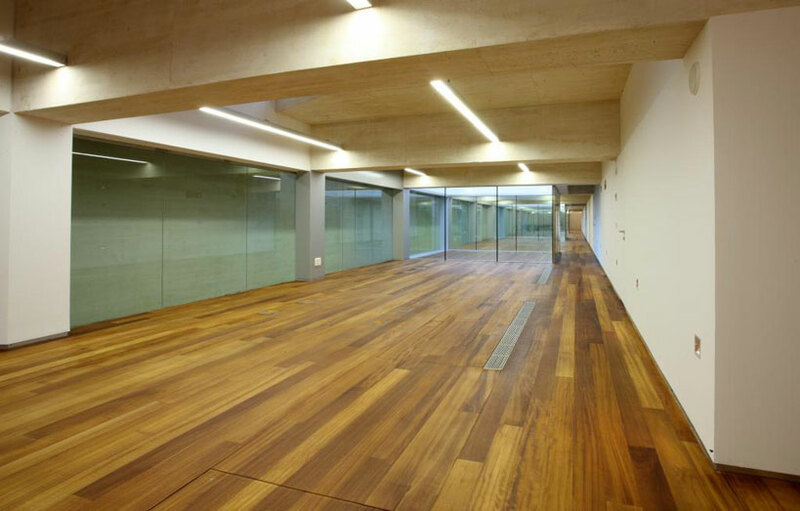 To do this, the 16th century building has been renovated and connections have been built through to the new building, without affecting the newly recovered shape. One of the unique elements of the new building is the aluminium facade covering the entire building. 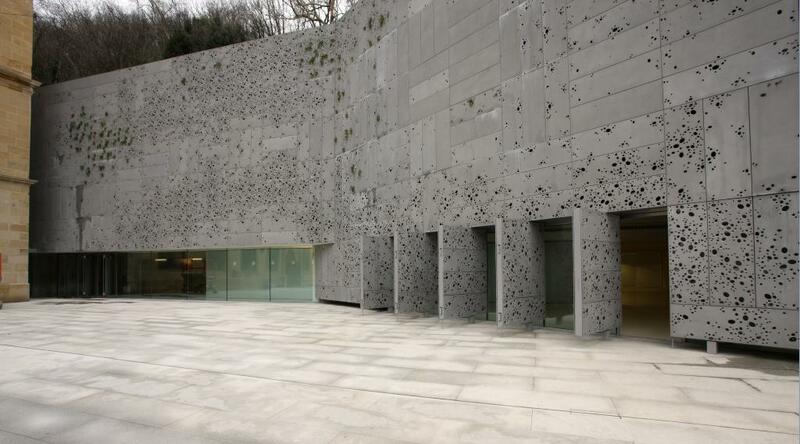 As a result of joint work between the team of architects and the artists Leopoldo Ferrán and Agustina Otero, the building has been given the capacity to blend in with its environment, Mount Urgull, as the perforated sheets let the vegetation pass through so that it can overhang like it does on the mountain's worn stone, inspiring the artists' work. 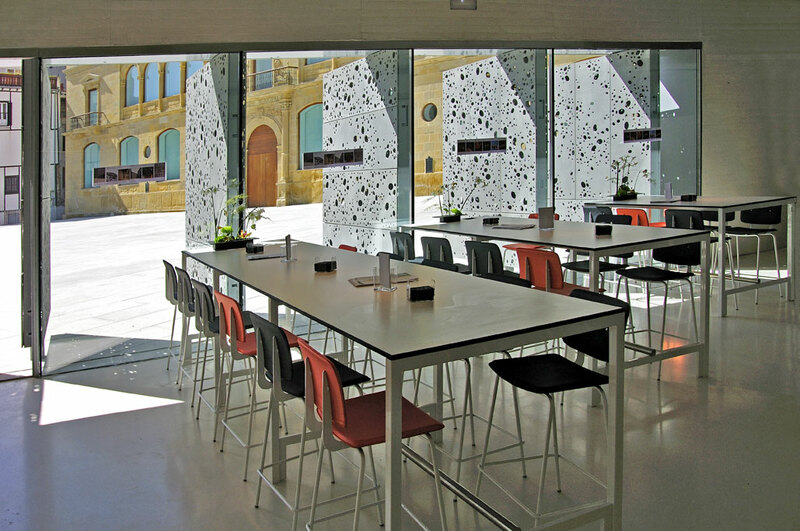 The new hall meets a series of needs that the former facilities could not, and thereby extends the range of services that San Telmo is able to offer after its reopening. 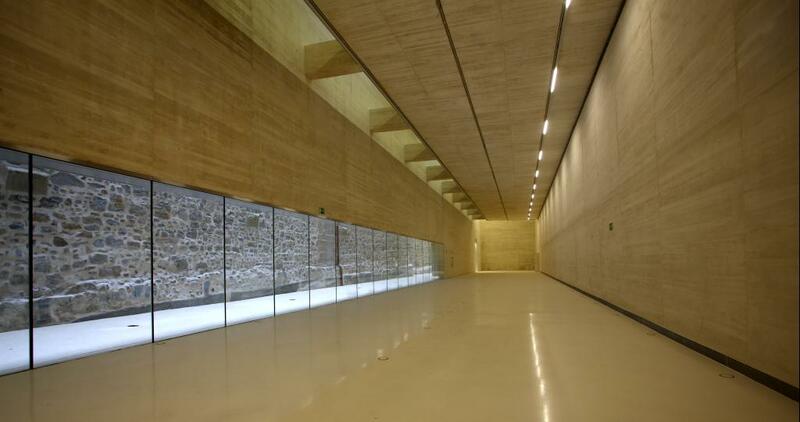 The new hall centralises public access to the museum from Zuloaga square. 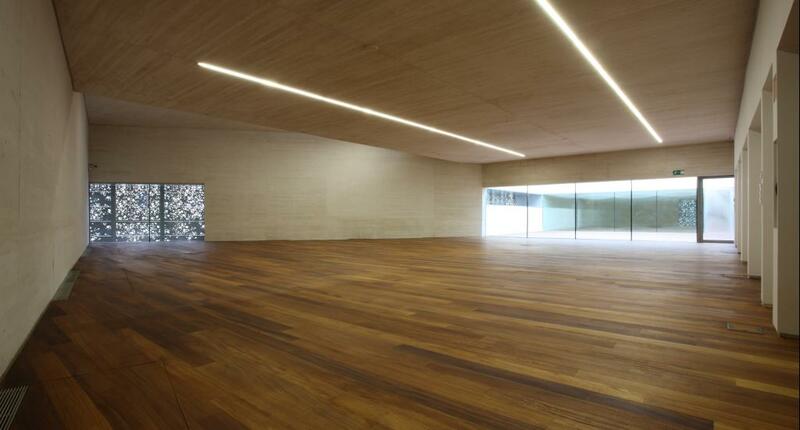 A wide entrance hall with double height constitutes the reception area leading off to different public spaces. Having bought their ticket, visitors can choose to take a look in the new hall or the historical building and they can also access the public areas (events room, library, cafe, educational workshop, lab) located on different levels. The exhibition rooms are arranged on two levels of the new hall. On the ground floor, a gallery 9m long and 6 m high flexibly houses exhibitions allowing large scale pieces as it has a surface area of 500m2. The first floor room is different, with a lower ceiling, intended to house part of the permanent exhibition. This is located on the top floor of the hall, parallel to the church nave. It receives natural light through a series of small patios and directly through the outer facade. With capacity for 140 people, this room is on the ground floor next to the entrance hall, allowing independent use. This is on a mezzanine floor, linked to the double height area of the entrance hall, connected visually through a glass wall, just like the café. Located over the Library and equipped for different needs, it becomes the ideal place for activities and workshops with groups. 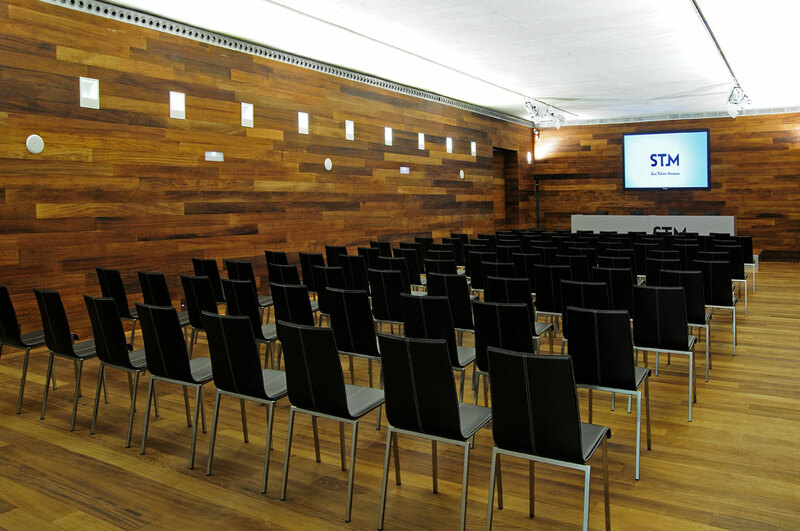 Opposite the Educational Workshop, this is a wide room open to new initiatives, with the advantage of great flexibility. This is located on the ground floor for independent use.